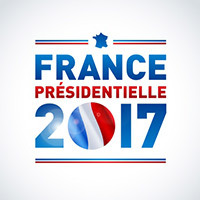 The 2017 presidential election represents a turning point in French electoral politics. It was marked by the poor performance of the main governing parties’ candidates and the victory of political newcomer Emmanuel Macron. More surprisingly, four candidates with clearly distinct policy lines were neck and neck in the first round. This article sheds light on this outcome and assesses its consequences for the French party system. We sketch alternative scenarios regarding the format and content of the emerging party system. Using geometrical analyses on data from the French Election Study 2017 (Gougou and Sauger 2017), we show that the current political space is structured by two main conflict dimensions: the first and dominating dimension sets an anti-immigration/authoritarian pole against a pro-immigration/libertarian pole; the second pits an ecologist/interventionist pole against a productivist/neoliberal pole.